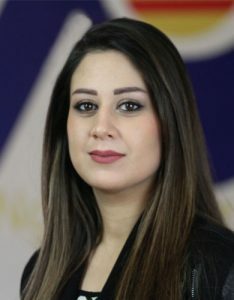 Mrs. Alhasan joined VAI in August 2015 and holds a master’s degree in Biotechnology Science from Al-Nahrain University in Baghdad. She is responsible for providing in-home care services to seniors by recruiting and training the qualified home-care aids through the Community Care Program. Sara supports the Community Empowerment Legal Clinic (CELC) by scheduling appointments and providing Arabic interpretation. She also assists clients with program referrals, and provides cultural orientation.